All the news and behind the scenes action from our acts, plus advice and ideas for booking live music entertainment for your wedding, event or party. The bb Collective are based in London and the South East of England but travel anywhere we can take a van to! Soul Sauce were thrilled to be asked back to Queen's House in Greenwich for another summer party organised by the fabulous Palette Events. This time, the theme was The Magic of the Movies and the band were a little bit overexcited to get to play some great movie themes - "Ghostbusters", "Rocky" and "007" being the firm favourites! Big John the Bass Got Married! Team bb were thrilled and honoured to play at a very special wedding last weekend. Our big bass man, John Matthews, tied the knot with his lovely lady Nichola in a huge celebration of love and music. The art deco style of the wedding was reflected in all the decor and details, including several enormous fairy-light-filled palm trees. Nichola was a gorgeous bride and John's suit deserves a shout out as the best groom's attire we have seen in over 200 weddings! 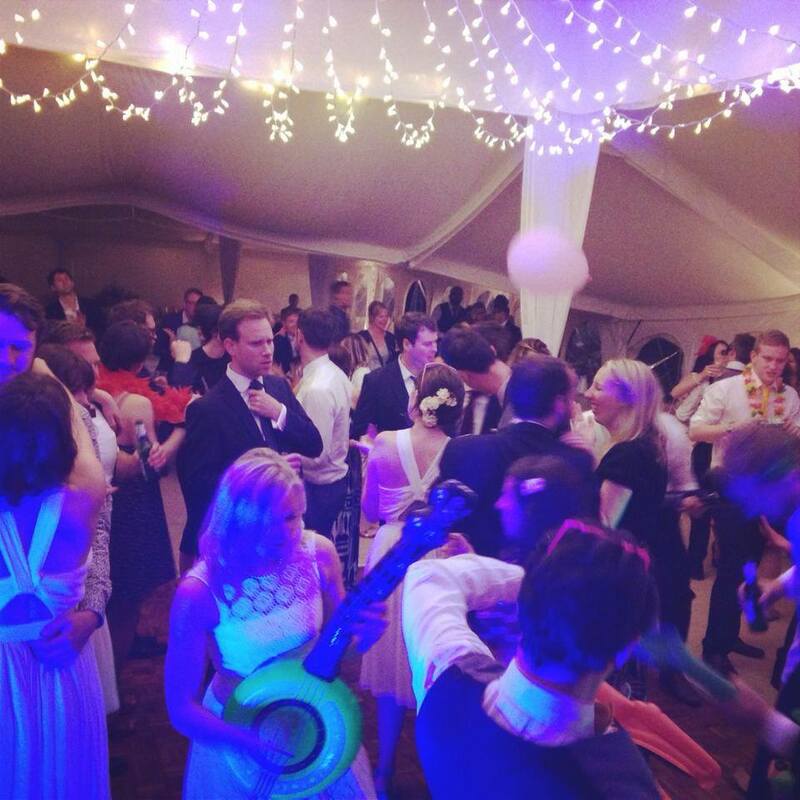 The bb Collective has been honoured to supply the live music for The Hurstpierpoint College Leavers' Ball for the past seven years. This year, Soul Sauce were there to celebrate with the Class of 2014, their parents, teachers and friends of the school. Soul Sauce had another great night playing for Alex and Jon's brilliant wedding, on a gorgeous day in Sussex. This fab couple opted to have food stations all night long (the crepes were a band favourite!) and, even better, a face painter on hand to decorate their guests! The site of the groom in full tiger face paint doing the first dance is definitely one we'll remember! Each week we'll be posting some great songs to consider for your wedding first dance. First up is one of Soul Sauce's favourites - the Al Green classic Let's Stay Together. Perfect if you're a bit self conscious about doing your first dance, this funky number has a great beat and fab horn line that will get everyone joining you on the dancefloor as soon as you want them to! Soul Sauce were beyond pleased to celebrate the wedding of our friends Lindsay and Jonny in Burley. Great props, epic solos from the boys, guitar themed tables, guest spots and an overflowing dance floor. Thank you Mr and Mrs Bower - we are glad we "Made your Day"! Click on the images to see wedding guests who know how to celebrate in style! A fabulous night had by all at the wedding of Sarah and Alex at the beautiful Cain Manor in Bordon. Soul Sauce revisited some old Soul classics and shamelessly jumped on the selfie bandwagon. Congratulations Sarah and Alex and thanks for having us! The bb Collective is a boutique agency providing musical entertainment for events, weddings and parties. With unique acts, world class musicians and bespoke music packages, we pride ourselves on delivering acts that your guests will love. Get in touch to discuss your ideas and let us come up with the soundtrack to your event.